The van will debut in Japan soon. Toyota HiAce, a popular workhorse in Southeast Asian nations, is due for an upgrade. 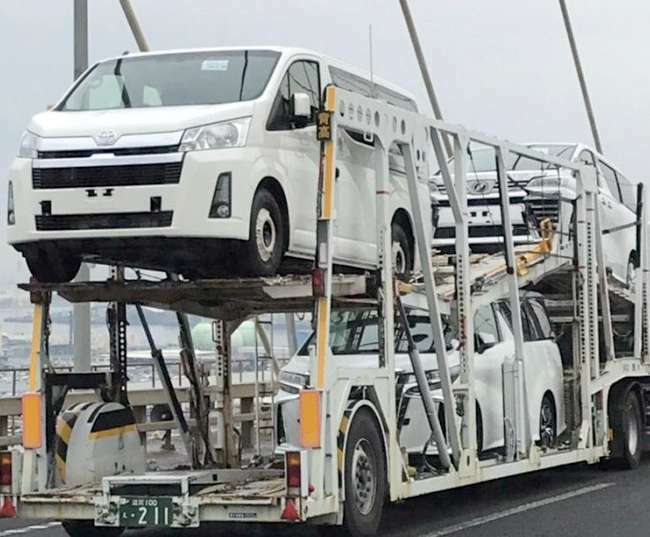 The next gen model has been spotted on a car carrier in Japan. The spyshots are courtesy of J Club Legance, a workshop in Japan which specializes in customizing the HiAce. This is the sixth generation model of the van. 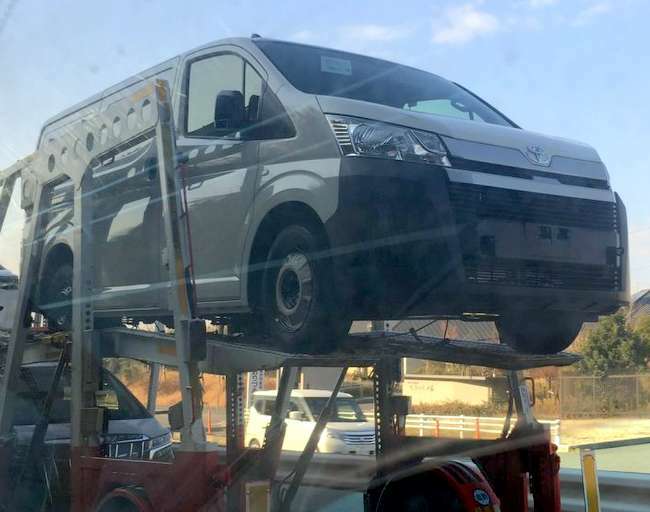 The 2020 Toyota HiAce (pronounced as High Ace) features a significant styling change and most of it is concentrated upfront. For starters, the flat-nose design of the predecessor has given way for a more conventional front fascia with engine bay, prominent chrome embellished grille, larger headlamps, and new bumpers. The extruded nose could be Toyota’s solution to make the new HiAce compliant with the stringent crash test norms. In profile, the new HiAce is characterized by a steeply raked windshield and near flat sheet metal design with sleek greenhouse. The most premium people carrier version receives sliding doors, alloy wheels, body-colored bumpers, fog lights etc. The panel van avatar settles for black bumpers and steel wheels. The next generation Toyota HiAce will undoubtedly feature brand new dashboard and improved interiors. The engine moving further ahead into the nose would mean significant increase in the cabin room. Like its predecessor, the new van would be available in multiple wheelbase configurations and payload capacities. The existing HiAce is available with both petrol (2.7-liter 4-cylinder) and diesel (3.0-liter 4-cylinder turbo) engine options. We expect the latest iteration to feature downsized engines that are more powerful, efficient, and less polluting. Both manual and automatic transmission options will be on offer. Toyota Kirloskar Motor showcased the current version of the HiAce at the Auto Expo in its luxury people carrier avatar. The automaker hinted that the HiAce would go on sale in the country. Given that the Indian government has allowed the OEMs to import 2,500 units per year without having to undergo homologation process, Toyota could experiment with its people carrier and target hotels and luxury travel operators.